November 19, 2015 By This post may contain affiliate links. These Santa Suit Candy Cups are super easy to make using red ice cream cones and candy decorations. 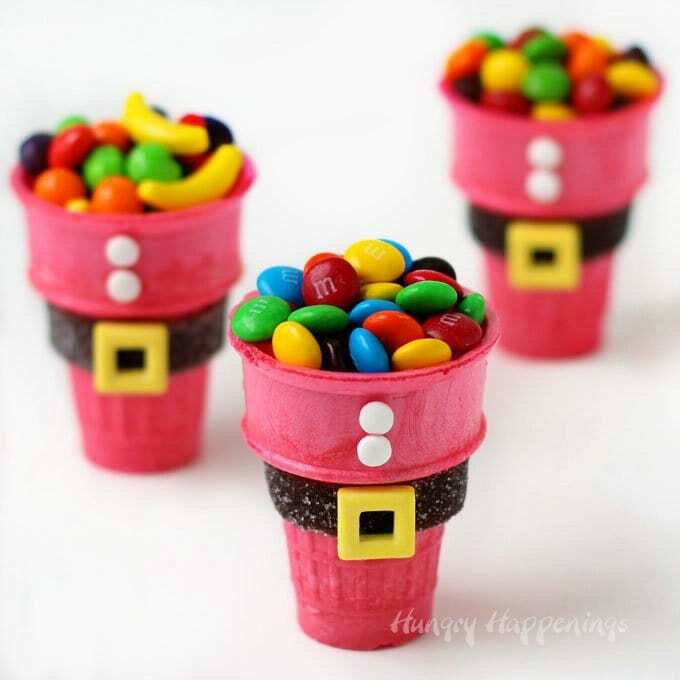 Fill them with candy to make special Christmas treats for kids. Post sponsored by Wilton. Do you get overwhelmed this time of year? I sure do. There are not enough hours in the day to accomplish everything I want or need to. 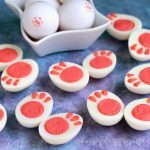 I know you probably feel the same way, so I’m going to do my best this Christmas to share with you some quick and easy food crafts that you can use as party treats or favors. These Santa Suit Candy Cups take minutes to make thanks to Wilton’s new Santa’s Belt Decorating Kit. The kit includes candy belts, buckles and buttons. I was so excited when I saw this kit because of those perfectly shaped candy buckles. Years ago, I hand cut buckles out modeling chocolate then brushed them with gold luster dust to make the Santa Suit Candy Cups pictured above. Cutting out that tiny square in the center of each buckle was challenging. I love those Christmas treats, and would definitely make them again, but I’d probably use the new candy buckles. 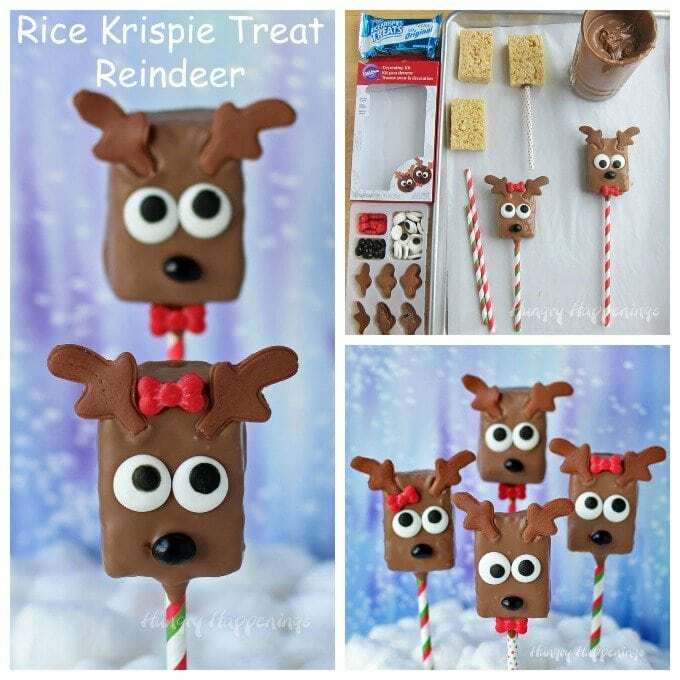 Last year, I used one of Wilton’s Decorating Kits to make these adorably cute Rice Krispie Treat Reindeer. The candy decorations in the kit allowed me to decorate boy and girl reindeer, both with big expressive eyes and perfectly shaped antlers, quickly and easily. 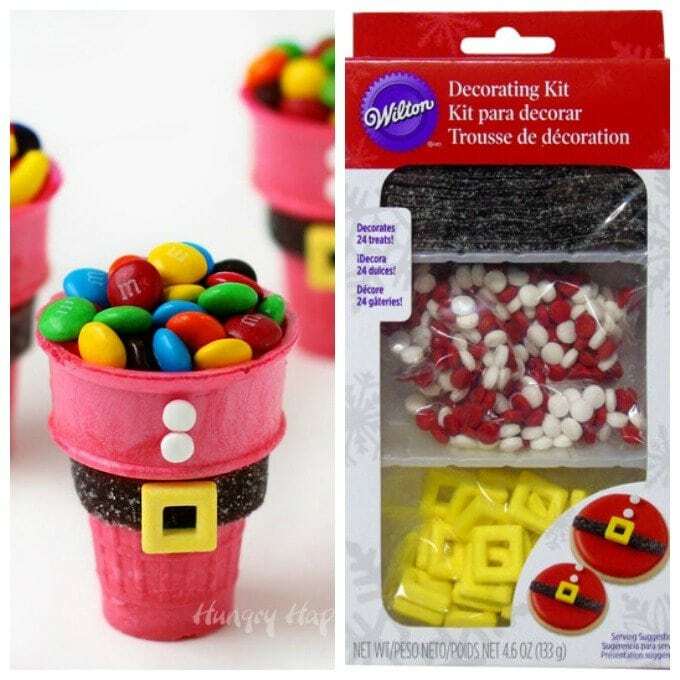 To create these simpler Santa Suit Candy Cups, you’ll decorate red ice cream cones. 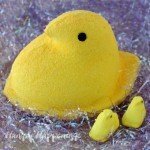 You can find them at the grocery store or on-line. Start by attaching one candy belt under the middle rim of the cone. 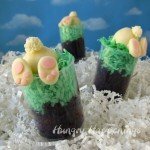 I grabbed a tube of ready-made royal icing to use to glue the candy to the cones, but red Candy Melts would work well too. Attach two buttons and a candy belt buckle and you are ready to fill the cups. The black candy belt doesn’t wrap completely around the cone. You could cut another one and attach it so it does wrap all the way around, but then you will end up with extra buckles. I thought they looked good with just one belt. Just be aware that once you get the belt and buckle on your ice cream cone, that the cups become heavy on one side and may want to fall over. I rested mine in a bowl while the icing dried. 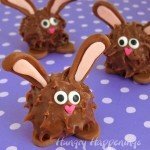 Then filled them with candy before setting them upright. Then they were just fine. You can find Wilton’s new Santa’s Belt Decorating Kit at craft stores, on-line at Wilton.com, or from Amazon.com. 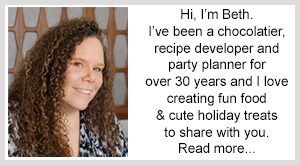 (commission earned for affiliate sales) I am a brand ambassador for Wilton and am compensated and given free products to create my projects. 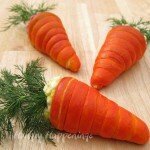 Here are some more fun Christmas food crafts that you can make with and for kids. I remember those Santa cups and now you’ve made them even easier to make, plus they’re still as cute as can be! 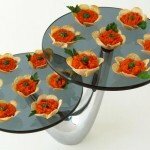 I love your candy cups Beth! I just bought the reindeer decorating kit today at Wal-mart. I have not seen the santa kit yet..but I just gotta get that one too! Thanks, Karen. I love the reindeer kit, especially because antlers can be challenging to make too. Have fun with it.